Quarab Horses are a recently established breed that was created in USA as a cross-breed between an Arabian Horse and an American Quarter Horse or a Paint Horse. Crosses of 1/8 to 7/8 percentage in favor of either breed type is allowed, but no other blood types. Quarab Horses are compact, of medium range and well designed for both Western and English riding styles, with a balanced character. Their main qualities, such as intelligence, agility, stamina and versatility, make them suited to many events. Quarab Horses, in fact, are excellent in roping, reining, dressage, trail riding, driving, racing and endurance. By being the combination of such different pedigree, Quarabs may be potentially any color: solid, composed or painted, in a wide array from the classic sorrel and bay to the more unusual perlino, champagne and smokey cream. Because of the same reason, their body type may resemble the stock-horse type with muscular forearm and gaskin and well-rounded hips, or the Arabian type with long well-arched neck, long barrel and level croup. 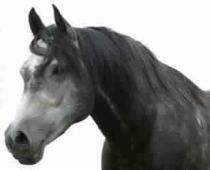 Also the head is influenced by the predominance of the Arabian or Quarter type. Usually, it shows refinement, large eyes, wide forehead and slight to extreme dish in the face. The Straight type, the standard one, is strongly influenced by both bloodlines (50/50). The Stock type, on the other hand, shows more Quarter/Paint features, but retains also the Arabian elegance. The Pleasure type, in the end, is much more loser to the Arabian kind with more refinement, especially in the head. The Quarter/Paint influence, instead, is strong in the body structure. Complete the “Membership Application” form (you can download it from the link below) and send it with the payment receipt by mail or e-mail to AICQA. Mailing address, fees and bank account are available on the relevant form. Quarab Horses can be registered with the Italian Registry only if the owner is a AICQA member however the membership application can be submitted at the same time the registration application is filed. (please refer to the “Membership section for further information). Mailing address, fees and bank account are available on the relevant form. AICQA will evaluate the received material and, in case all requirements are met, will send you by mail the registration certificate. AICQA holds a registry of certified horses that belong to the three founding breeds that originated the Quarab Horse, namely, the Arab Horse, the American Quarter Horse and the Paint Horse. The registration with this original breeds registry is not mandatory, but highly recommended for breeders who plan to produce a number of Quarab Horses because it simplifies future registration procedures. Original breeds can be registered only if the owner is a AICQA member, however the membership application can be submitted at the same time the registration application is filed (please refer to the “how to become a member”section for further information). 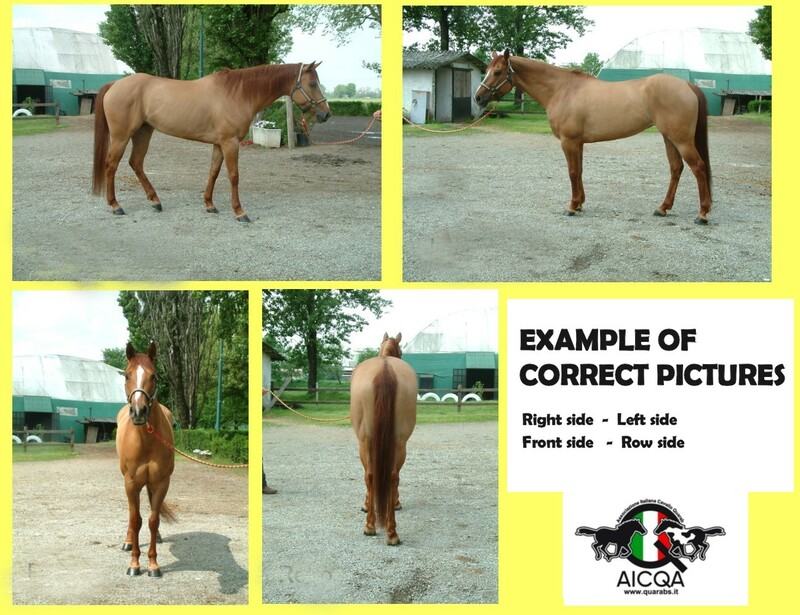 Complete the Original Breeds form (you can download it from the link below) and send it by mail or e-mail to AICQA with a horse’s picture and the registration certificate issued by the relevant horse breed association. Mailing address, fees and bank account are available on the relevant form. AICQA will evaluate the received material and, in case all requirements are met, will send you the original breed registration certificate by mail. You are requested to complete the “Ownership Transfer” form (you can download it from the link below) and to send it to AICQA with the original registration certificate by mail or e-mail. Mailing address, fees and bank account are available on the relevant form. The new owner of the horse must be a AICQA member, however the membership application can be submitted at the same time the ownership transfer application is filed. (please refer to the “How to become a member” section for further information). AICQA will send you by mail the new registration certificate of the horse with the updated name of the owner.